The Roger Clemens comeback train rolls onward, apparently. If you were hoping the Roger Clemens comeback saga would end with the acquitted perjurer falling flat on his face, you can forget about that. 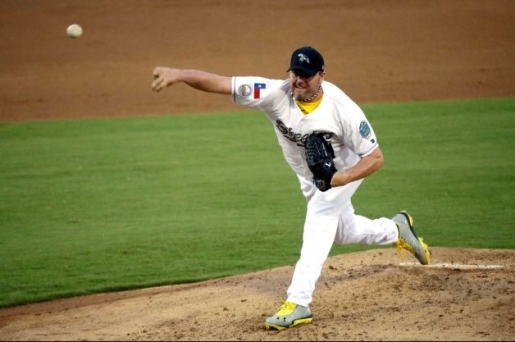 Roger Clemens squared off against the Bridgeport Bluefish of the independent Atlantic League and, as it turns out, did very well despite being well past his prime. Roger Clemens pitched 3 1/2 scoreless innings, but more than that was the way he pitched them. The 50-year-old struck out two batters and gave up only one hit in the process. Clemens threw 37 pitches in his Skeeters debut, hitting 88 miles an hour with his fastball and working in a splitter and a curve in the process. So what’s next for the Rocket? Well, he won’t rule out a comeback with a Major League Baseball team; in the stands to watch his Skeeters debut were the Houston Astros and the Kansas City Royals. While the Skeeters aren’t facing Major League competition, Sugarland’s opponents in the Atlantic League are roughly AAA quality. If he can do it in Sugarland, why couldn’t he do it in Houston? The competition will be tougher, but if you think Roger Clemens wouldn’t be willing to come into a game and, say… work as a closer for a struggling team in need of an attraction? Or be a six-inning starter after pitching himself back into shape?